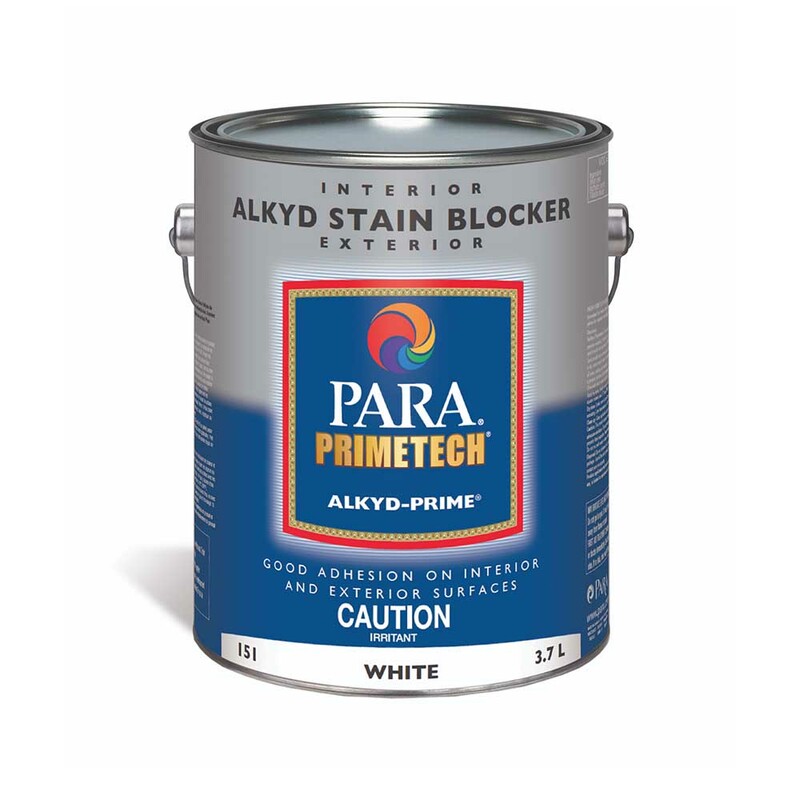 A solvent-based stain blocking primer formulated for interior and exterior wood, masonry and gypsum surfaces. Great for spot prime patches, sap and stains sealer. May be top coated with any solvent-based or water-based paint. High hiding power and good adhesion on painted surfaces. May be top coated with solvent-based or water-based products. Excellent holdout ensuring a smooth and even finish. May be used as a primer to recoat or spot prime surfaces. Condition the tools with mineral spirits before using them. Let surface dry properly before covering. Low temperatures or high humidity may affect the drying time. Applying two finishing coats will provide better durability and appearance.